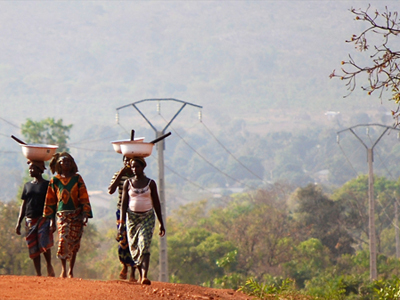 HomeTOP STORYUncertainty about why Sierra Leone was excluded from 2014 Compact Award . Top MCC official seems to suggest. This is not a question of semantics. Nothing is lost in translation. The point has been made very clear. Sierra Leone should not have failed the Control of Corruption Indicator and the country should not have been excluded from the Millennium Challenge Corporation ( MCC) . A top official of the MCC seems to be suggesting so. Since the MCC announced last week that it has “decided not to move forward on proposals with Sierra Leone and Benin until they are able to again meet the benchmark indicator for ‘control of corruption’ ” (according to Devex ) , Government officials in Freetown have been stating the administration’s determination and commitment towards the goal of fighting and nipping corruption in the bud. READ THE ARTICLE BELOW . ALSO READ BELOW THE ARTICLE AN OPINION ON THE MATTER BY ONE OF SIERRA LEONE’S MCC OFFICIALS, MR. AMADU MASSALY. HE WAS RESPONDING TO A POINT BY A MR. BERNARD IN ONE OF THE ONLINE FORUMS. Still, the board decided to send a strong message about the importance of the benchmark to encourage Sierra Leone, Benin and other aspiring MCC partner countries to undertake further policy reforms aimed at overcoming corruption as one of the main barriers for international investment. In an upcoming exclusive interview with Devex to be published on Friday, the MCC senior official said that while MCC will work with Sierra Leone and Benin to survey possible policy reforms that could return them to eligibility, it is up to the countries themselves to drive those reforms forward and ensure they are effective. Mr. Bernard, I have no reason to doubt your disdain or disgust for corruption in Sierra Leone as I see you are making a sincere case and probably would think that you are promoting a good thing with your lambast, for want of a better term, of successive governments in your address of this canker worm in our Sierra Leonean lives. That is all good! However, in my own patriotic stance, as different as it is from your admirable “patriotic stance”, I want to make a case for our country in spite of the reality that we are corrupt as a nation, albeit far from being unique in that regard. Let us start with the MCC. The experts at the MCC, even if they are doing spin work as some have said in light of the prevailing situation, are not clear as to why we failed the control of corruption indicator. With a 0.03 percent failure rate, it has been attributed by a senior Managing Director at the MCC to “statistical noise” on one hand and the fact that we are still on the line is testimony to that. Also there are fifteen sub-indicators that collectively go into the scorecard (attached) and we maintained passing (or maintained the same as last year) scores on 13 of them. We only went south on two; the infamous Global Corruption Barometer Survey fro Transparency International and the Global Integrity Index. When Sierra Leone passed the Control of Corruption index in 2011 for the first time ever after seven years and did so again in 2012 we had made marked improvements. I am of the belief that Transparency International’s Corruption Perception Index is the most authoritative of corruption measurements in the globe. And if we were to follow the trend over the years there has been improvements from 2008 when we had the worse ranking to now when we are at the highest ranking ever). Two things come into play in the ranking by TI: how we scored in a given year and how we rank against other nations. The trend shows that from 2008 to now we have improved every year from 158 in 2008, to 146 in 2009, to 134 in 2010 and 2011, 123 in 2012 and 119 in 2013. The final number of 119 out of 177 shows that we are better than 58 other countries in the world on the Transparency International survey yet you are seen to be saying that: “(Of course, Transparency International and other global organizations tracking corruption around the world have always listed Sierra Leone as one of the most corrupt countries in the world).” I am not sure what the context of “worse” is, but it is not as bad as you present it, sir. I want you to understand and appreciate the fact that we are corrupt, but I also do appreciate our improvements. I think you also said that government has not made any comments, but that is not true. There have been press releases, discussions on TV and radio, by government and government officials on the matter. Even today there was a press conference by the US Embassy in which the Chief of Staff participated. The last point I want to make is that the Income Electrix saga had been accounted for in a previous scorecard of the MCC and cannot be a factor today; nor can it impact us forever. We have moved on from that, but I still note the point you are trying to make even if outdated now. In conclusion, I agree that Sierra Leone has to get better not just in the perceived corruption but the actual one that happens in our homes, schools, churches, government, etc. But it is important to note that this is not just a government-only deal. The corruption we face in Sierra Leone is a national endemic and accepts almost every facet of our lives. From kindergarten to retirement! But it is a national demise and even though government should play an important role in all of it and lead by example, it is the responsibility of ALL Sierra Leoneans even those who are not corrupt. What Next For Mamamah Airport under the ‘New Direction’ ?